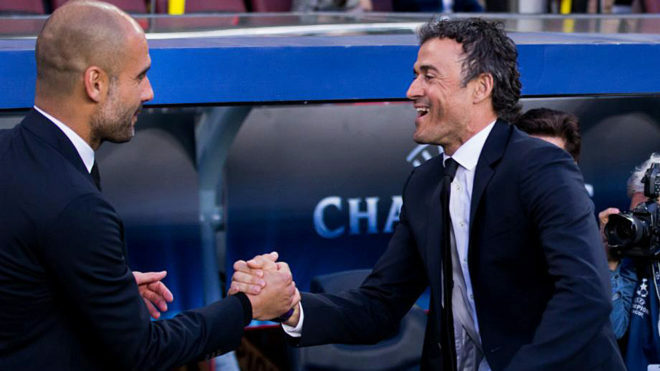 Candidates continue to be circulated for the vacant coach role at Bayern Munich since the departure of Carlo Ancelotti and Pep Guardiola lunched with Bayern Munich president Uli Hoeness and discussed the possibility of Luis Enrique, according to media reports. The former Barcelona coach will meet with representatives from Bayern on Wednesday to discuss the role said Sport1, and it appears as though the Spaniard has become the number one target. City coach Guardiola is enjoying his holiday in Germany having gone to the Oktoberfest along with former-Schalke coach Markus Weinzierl and Leipzig coach Ralph Hasenhuttl but the Catalan was not only in Munich to speak to fellow trainers. There are also reports that Guardiola is also being asked over Tuchel for the vacancy.